Is it snowing in Vitosha ?Thank you! 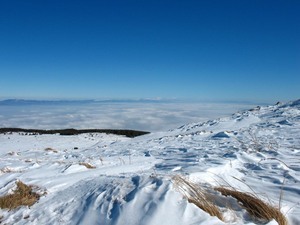 We have been informed that the lifts at Vitosha are not currently open (2011-2012). 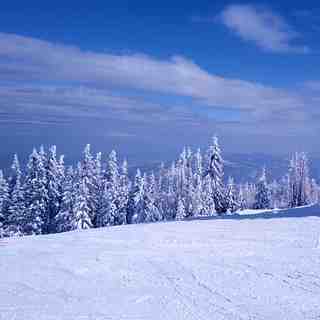 Bulgaria's highest resort on Mount Vitosha, overlooking Sofia, The north-facing aspect of Vitosha and its elevation of up to 2290m makes for a reliable snow record, but the slopes are not especially rewarding and being only 10km from Sofia, it can get very busy at weekends. Accommodation in the city is cheaper than by the slopes, but on the mountain they are cheap, but basic. Should you wish to stay in the fascinating city, a gondola provides slope access directly from the Simeonovo suburb and the views of the city are excellent. It's an ideal resort for beginners and early intermediates, especially because the ski school is said to be excellent, with 40 instructors fluent in many languages and with the longest tradition of teaching in Bulgaria. 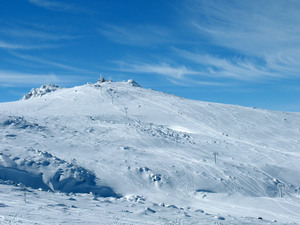 One run at Vitosha, the 2.8km long Vitoshko Lale, is steep enough to challenge experts plus there is an approved FIS downhill course. There are 3 main lift areas in Vitosha, each one of them has a different company operating it and a separate (cheap) lift pass is required for each area. 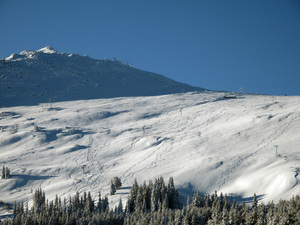 A suggestion is to start with the Romanski lift company; it covers the largest area. Cons: There are few good pistes (not too long though) but they along with their lifts are usually crowded and you spend most of the time in the queues. So value for money is low, maybe sometimes except for a few detached short pistes suitable for beginners (up to 100-200m gentle slope) and just one 800 m with moderate slope (blue piste). Cons: An adult beginner has nothing to do at main sector near "Aleko" - for last years only children are allowed to use baby-lifts there! Adult beginners are welcome only at baby-lifts owned by Machirski ski-school at Ofeliite and Vetrovala ("Zlatnite mostove" west sector). But apart from that there is just one 800 m blue piste suitable for intermediate skiers and no one for advanced skiers at that sector. Both sectors are about 2 hours drive apart (you have to go down back to the village then go uphill again). Cons: Car access is partially restricted while public transportation is insufficient. Cons: You don't have a money-back option when lifts close due to weather conditions. You can try negotiating for a compensation for the next day - and sometimes you have a chance to obtain it. 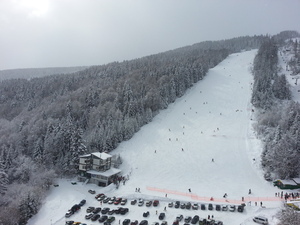 Cons: "Vitosha Ski" has a monopoly over all pistes and lifts except few small baby lifts. This winter "Vitosha ski" spoiled the whole ski-season due to its jobbery motives and the ski-pistes and lifts (except those few baby lifts) didn't open at all! Pros: There is a wide plateau (few kilometers) there and thanks to the frequent moderate winds snow-kite becomes more and more popular year after year! Pros: You don't need to overnight at Vitosha to take a ski-tour (or just a tour) to the peak where you can drink a tee and have a lunch with friends at the meteorology station before riding your skis or your board downslope. 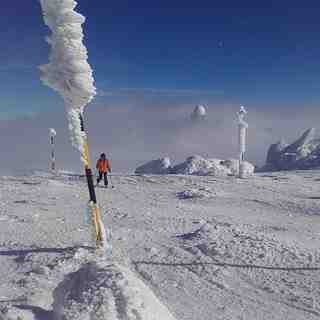 Pros: The main winter touring tracks (mountain-wide) in the alpine zone have relatively well maintained marking poles and offer limited or no avalanche-hazard most of the time. Pros: Fortunately there are relatively few of those noisy snow-mobiles there (you may even don't hear one for the whole trip to the peak).